Observation - Spider - UK and Ireland. 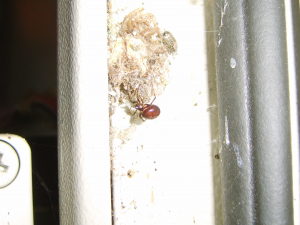 Description: Small reddy-brown bodied spider. Approx 4mm body length. Living in electrical panel. Small reddy-brown bodied spider. Approx 4mm body length. Living in electrical panel.